01 Night - ColomboAnything else not mentioned in "Inclusions"
Pinnawala Elephant Orphanage: Approx. 55 miles from Colombo, off the Colombo-Kandy road is Pinnawela, where an orphanage was started in 1975 to house abandoned and wounded elephants. The number of elephants has increased to more than 70 now, including baby elephants brought from all over Sri Lanka. Kandy: Lying amidst the hills, Kandy is the last capital of the ancient kings of Sri Lanka. While being the second largest city in Sri Lanka it is also famous for its immense beauty and is named as one of the seven UNESCO declared World Heritage sites in the country. With its luxuriant prairie, picturesque lake, longest river of the country and misty mountains, Kandy successfully mesmerizes every visitor unsurprisingly. Enjoy your breakfast at the hotel and then proceed for Kandy city tour. City Tour Kandy: While on your city tour you will visit one of the world heritages as well as a sacred place for the Buddhists all over the world; namely the Temple of tooth Relic, Peradeniya Botanical Gardens and your next visit to the Gem Museum In the evening you will witness a traditional cultural dance show in Kandy. Overnight stay at your hotel in Kandy. After breakfast at the hotel, proceed to Bentota. Bentota is the city of the Golden Beaches. You will be able to relax and feel the spirit of the sea and the warmth of the soft sand. The day is divided in between swimming in the water and bathing in the sun. Bentota provides the perfect turf for unfurled vacation at the beach. While enjoying the sun, sea and sand the water sports lovers can enroll themselves in various water sports bringing in the unique pleasure of this local. Overnight stay at your hotel in Bentota. Enjoy your breakfast and today proceed for Bentota city tour. After breakfast at the hotel, Transfer to Colombo. 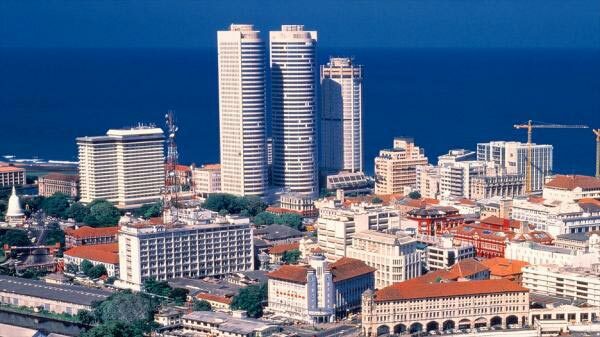 Colombo is the largest city and commercial capital of Sri Lanka. Located on the west coast, it is a busy and vibrant city with a mixture of modern and colonial impressions. 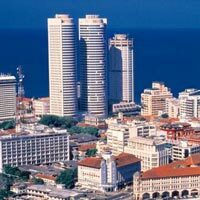 City Tour: While on your city tour in Colombo you may visit famous places including Galle Face Green, the Viharamahadevi Park, National Museum, Twin World Trade Center towers, Old Parliament Building, Fort district, Independence Hall at Independence Square, and prominent Buddhist, Hindu, Islam and Christian places of worship. (Entrance fees to sites not included). For shopping, you may visit Odel, House of Fashion, Beverly Street, Majestic City, Noritake, etc. After breakfast, depart to airport to catch the return flight.